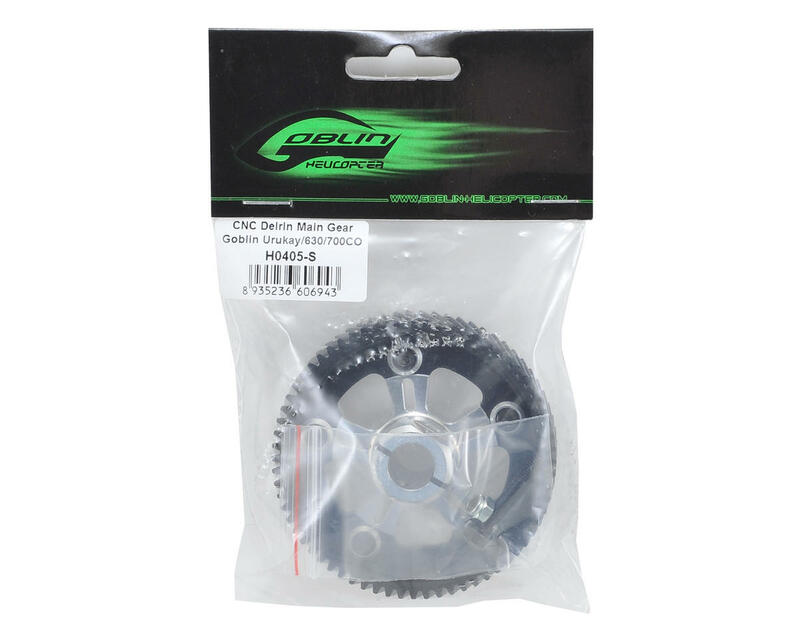 SAB CNC Delrin Main Gear. This is compatible with the Goblin Urukay, 630 and 700 family of helicopters. 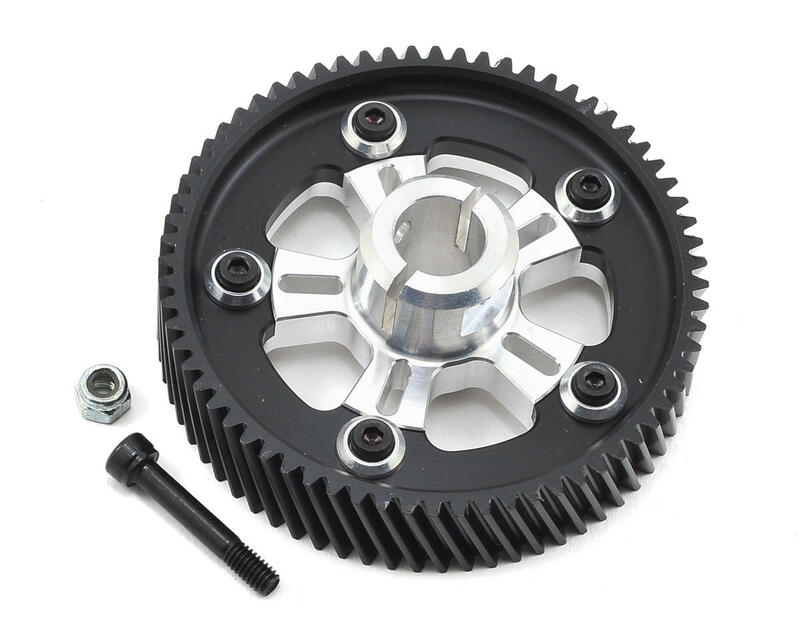 Package includes one delrin helical cut main gear with an aluminum center hub and installation hardware.